We're currently in the midst of a long dry spell as Riverdale takes a two-week hiatus, but the wait will be more than worth it. After all, we've just learned who they've cast to play Archie's mom. Since Riverdale is a show all about redheads, it only makes sense that producers would hire the greatest redhead of all time. That's right, they've got Molly Ringwald joining their ranks. 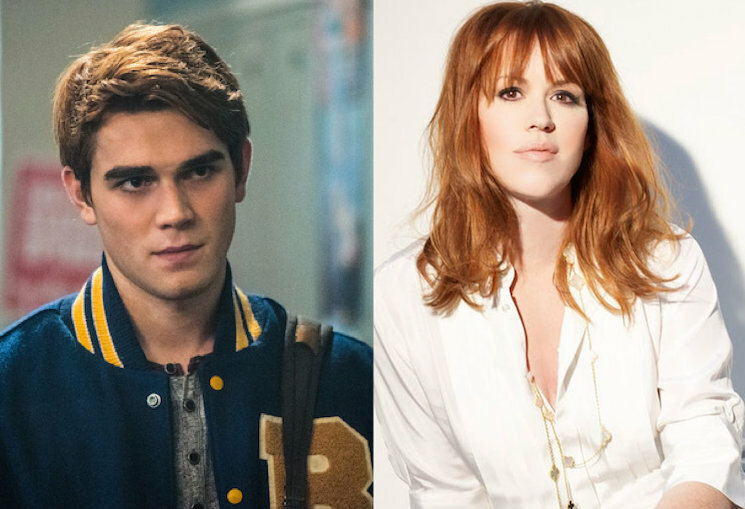 The CW has just unveiled the synopsis for Riverdale's tenth episode. In the episode, Archie's dad decides to finalize his divorce from Archie's mom. Yes, Luke Perry is facing off against Molly Ringwald. That episode is set to air on April 13, while Riverdale will be back in general on March 30. Thankfully, the show has also been renewed for Season 2.